Internet Explorer 8 is moving out of beta: The final version will be available today at noon ET. The new browser is packed with new features and improved security features, and early reviews and impressions have been largely positive. I am sure many of you will want to get your hands on the new browser and maybe some of you are hoping to switch over to IE8 as your browser of choice. Whatever your motivations, here are 5 things you need to know about IE8's release today. Manual Download Only: You can get IE8 only by going to www.microsoft.com/ie8 or Microsoft's Download Center. Microsoft has not specified when it will push IE8 through the Windows Update service, although IE8 beta users will see an IE8 Windows Update before the general public does. No Windows 7 version yet: If you're using the Windows 7 Beta you'll have to stick with IE8 Release Candidate 1 for now. Microsoft won't confirm when the final version of IE8 will be available for Windows 7, but it's expected to show up in the next public release for Windows 7. Security Questions: Microsoft says it has the most secure browser ever--something we've heard from the company before--but is that really the case? Yesterday, at CanSecWest's PWN2OWN contest, where hackers show off how quickly they can crack into a browser using previously unknown flaws, Internet Explorer 8 was one of the first browsers to go down after Apple's Safari. Some experts also say that Microsoft's clickjacking protection may give IE8 users a false sense of security. I'm not saying that IE8 isn't secure--just don't believe the hype. The most basic rules for safe and secure browsing still apply. Speed not necessarily as advertised: Microsoft says "Internet Explorer 8 is one of the fastest browsers on the market today, beating other top browsers in page load time on almost 50 percent of the 25 top comScore Web sites." According to early reviews, IE8 blows IE7 speeds out of the water; however, most reviewers haven't seen a noticeable difference between IE8 and Firefox, Internet Explorer's closest competitor. Compatibility View: Many Web pages out there are optimized for IE7 at the moment, and some reviewers have had problems rendering pages in IE8. 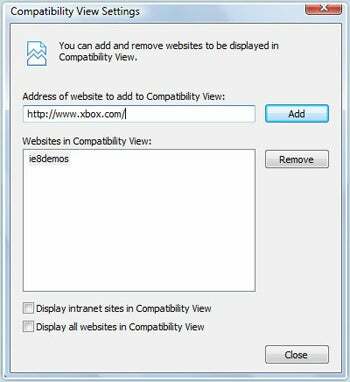 That's where IE8's compatibility view comes in. IE8 will automatically tell Web pages that you're using IE7 if the site won't render properly in IE8. The browser will also remember every page it needs to use compatibility view. You can also switch on compatibility view manually or turn it off completely. Internet Explorer 8 is expected to reshape the browser wars, and--according to early reviews, at least--this is the best version of IE in a long time. If you want a more detailed look at IE8, check out Computerworld's review of IE8.